What is a Hub Centric Ring? The Hub Centric Ring is a device used with the alloy wheels and are installed between the car wheel hub & the alloy wheel. The purpose of the hub centric ring is to fill the empty space between the wheel hub and the centre bore of the alloy wheel. 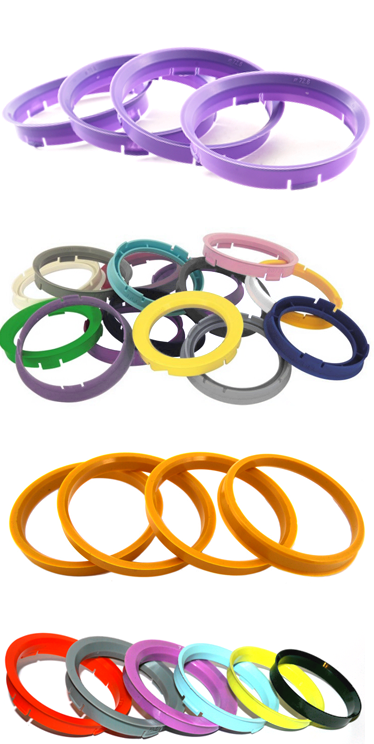 Hub centric rings are usually made of durable industrial plastic & also made of aluminium. What are Hub Centric Rings needed for? Hub centric rings are needed when the hub hole (the centre bore) on the alloy wheel is larger than the wheel hub of the car. 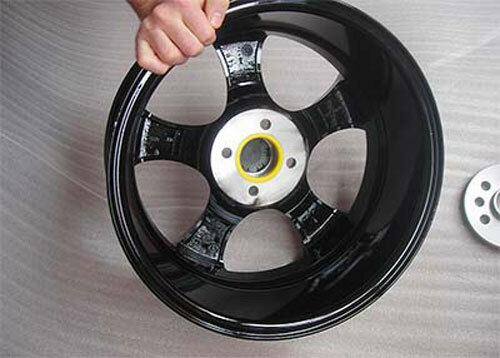 The alloy wheels manufacturers deliberately make the hub ring as large as possible for the alloy wheels, taking in to consideration the hub hole, to alloy the same alloy wheel to be sold for the various different models of car using hub centric rings. Hub centric rings are usually needed only for the after-market alloy wheels, since the original alloy wheels usually come with a centre bore of the right size. The purpose of the hub centric rings is to perfectly centre that alloy wheels to the wheel hub & hence prevent vibration to the steering wheel during driving and the shaking which typically appears at high speeds. The size of the centric ring depends on two things: the centre bore of the alloy wheel and the outer diameter of the car’s wheel hub. 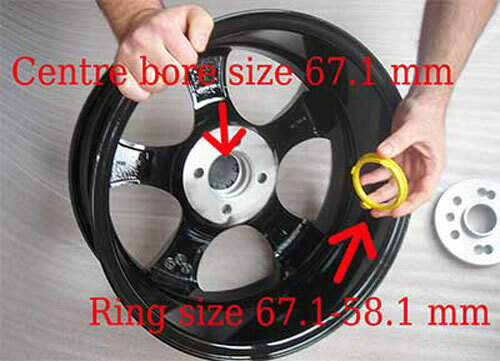 For example, if the diameter of the wheels hub is 72.6 mm, and the wheel centre bore is 74.1 mm, a centric ring with a diameter of 1.5 mm is needed in-between, so that right size is 74.1-72.6 mm. Hub centric rings are extremely easy to install. 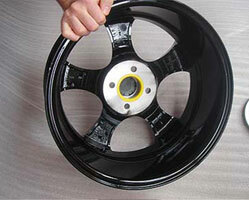 Clean the centre bores of the alloy wheels and the wheel hubs of the car. 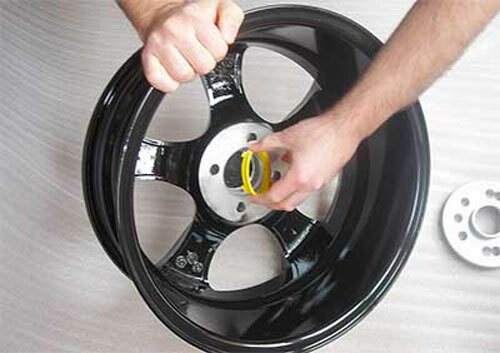 Push the hub centric ring to the centre bore of the alloy wheel. It is important to ensure that the ring is properly positioned. When the hub centric ring is attached to the alloy wheel, install the wheel onto the car. Where can I buy Hub centric rings in India? We have an extensive range of Hub Centric Rings in stock suitable for a wide variety of alloy wheels & car manufacturer products. We actively operate to maintain the best selection on the market. 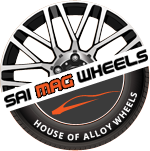 Hub Centric rings can be purchased online through http://www.alloywheelsindia.com or through a carefully selected authorized dealer network. Should you have any further questions about us, please do not hesitate to contact us via email at inquiry@saimagwheels.com or speak to our customer representative on +91-11-45633716. Hub centric is available as set of 4 pcs. Delivery time will be approx. 2 days to 7 days depending on your location. Price listed on our website is inclusive of GST & courier charges.